Believe it or not I'm kind of paranoid about data loss. My music is backed up in at least 2 places (physical hard drive and in GMusic). My documents see the same treatment between a physical backup and Google Docs. The same goes for movies and TV shows. The same went for photos, until I stopped using SmugMug in search of a different photo hosting site. Then Google+ and Picasa got in on unlimited photo storage and I made the decision to hang my photo hat there. Problem was I only made the decision, I didn't actually come up with a workflow to make it happen. As you should know by now I run a Mac system. As such I make use of their excellent Time Machine back up service that takes snapshots of my system every hour of every day. For the most part everything is great. Then a couple weeks ago the hard drive I was using for my Time Machine back ups failed. Not a huge problem though since it was still under warranty. I packed it on its way expecting nothing bad would happen during its time away. And nothing bad should have happened if I had just been more careful. Instantly I knew what I had done. I had deleted the wrong library. 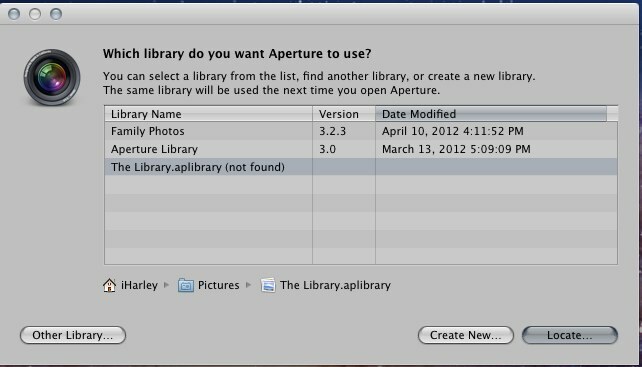 Over five years of photographs gone in a single keystroke. I raced around online looking for a magical cure, but there seems to be none. I've tried four data recovery pieces of software. They did an admirable job of finding deleted files, just not the one I wanted. So where does that leave me? I currently have a very limited back catalog of photos that were uploaded to Picasa for this blog. So that's good, as the photos I post here are usually ones I really like, but they're in a smaller resolution. I am now able to easily implement an online backup strategy more easily since I don't have to worry about all the older photos. As far as this blog is concerned I might slow down to posting once a week for the Google+ project 52 only. Tomorrow will be the last post from my now deleted library. Thank goodness I write those posts up early. I hope you all have a backup plan, and check it every so often to make sure things are running smoothly.